As NATO marks the 70th anniversary of its founding and the 20th anniversary of its expansion into formerly communist countries, it must do more than reflect on the past. To continue fulfilling its mission into the future, the Alliance must no longer allow the Kremlin to wield an effective veto over aspiring members' accession. NATO marks two anniversaries this year: the 70th anniversary of its founding, and the 20th anniversary of its first expansion behind the former Iron Curtain. Looking back, NATO’s status as the most successful peace project in history reflects not just its military might, but also its ability to provide hope to aspiring members. 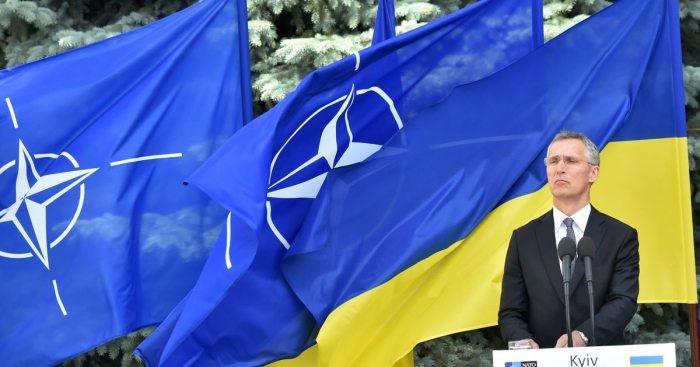 There is no doubt that the prospect of NATO (and European Union) membership has served as a driving force for democratization and liberalization in the ex-communist countries of Central and Eastern Europe. For example, in April 2008, NATO allies met in Bucharest to discuss offering a Membership Action Plan (MAP) to Georgia and Ukraine. At the insistence of Germany and France, we decided to postpone that decision until the end of the year. In my view, that was a mistake. Just months after our summit, Russian President Vladimir Putin ordered the invasion of Georgia, and Russia has occupied Abkhazia and South Ossetia ever since. Given the stakes, NATO member states should move beyond offering warm words about the democratic will of the Georgian and Ukrainian people, and acknowledge the disruptive role that Kremlin paranoia is playing in the accession process. We should continue to extend our hand in peace to Putin’s Russia, provided it changes its behavior. But we must not condemn aspirant countries to an indefinite “deep freeze” just to appease a strategic adversary. The Kremlin’s aim is to hold these countries back until their progress toward reform starts to slip. We would be neglecting our duty if we allowed that to happen. Anders Fogh Rasmussen, a former NATO secretary-general and former Prime Minister of Denmark, is a foreign policy adviser to Ukrainian President Petro Poroshenko and Chairman of Rasmussen Global, a consultancy.